Experts Say We Need an Hour a Day. Really?! A few years ago, the Institute of Medicine (IOM) released a lengthy report recommending that, as part of a routine regimen to maintain our cardiovascular health, ideal body weight, and ideal body composition, we all (that is, each and every one of us) need to engage in 60 minutes of daily moderate physical activity. Furthermore, the experts over at the IOM made it crystal clear that they are not talking about merely accumulating the equivalent of an hour of exercise during one's routine daily activities (such as climbing stairs or doing the laundry). What they're talking about is adding 60 minutes of honest-to-goodness sustained moderate intensity exercise (specifically, the equivalent of walking or jogging at least at a 4 to 5 miles per hour pace) to whatever other activities we might perform during the course of a normal day. There is no doubt that exercise is very good for cardiovascular health. But an hour a day? Read all about the cardiac benefits of exercise. How Did They Come Up With an Hour A Day? The experts who wrote this report for the IOM are scientists. Every word in this report is backed up by references from scientific studies, carefully interpreted in light of the whole body of evidence accumulated by medical science. This report is a comprehensive synthesis of what is known (and not known) today about optimizing our caloric intake (carbohydrates, fat, protein, etc.) and our output (physical activity) in order to maintain an advisable weight, a favorable body composition (i.e., proportion of muscle to fat), and cardiovascular health. And based on their synthesis of all this data, the authors' conclusions regarding exercise follow as naturally as the night follows the day. These scientists are immersed in grim scientific objectivity, and like good scientists are merely letting the chips fall where they may. To maintain optimal cardiovascular health, a good body weight, and a favorable body composition, they have no choice but to conclude that all of us adults need to engage in at least one hour of moderately intensive exercise (or at least 30 minutes of vigorous exercise) each day. While an hour a day of exercise may indeed be just the thing for us, the IOM recommendations are (I humbly submit) emblematic of a fundamental flaw with much modern progressive thinking. To wit: it is entirely ridiculous to expect us folks to change our fundamental human natures just because a top expert panel, following the latest high-quality investigational methodologies, has determined that we should. To actually be useful, any expert recommendations on a healthy lifestyle must remain within the bounds of the possible. And telling us that it's an absolute that we must exercise for at least an hour a day is more than just out of bounds - it is too outlandish for words. Indeed, this new recommendation is so outlandish that it threatens to completely undermine whatever good might have come so far from more reasonable recommendations that others have made regarding exercise. My fear is that typical, ordinary Americans, upon learning that all their efforts to fit at least some exercise into their busy schedules are, after all, laughably inadequate, are going to throw up their hands in sheer frustration and disgust and say, "Screw it. Pass the remote and open a bag of Cheetos." I suspect this is true because that was very nearly my reaction to this report. How Much Exercise Is Actually Necessary? Those of you who can fit in an hour or two of exercise a day need read no further. 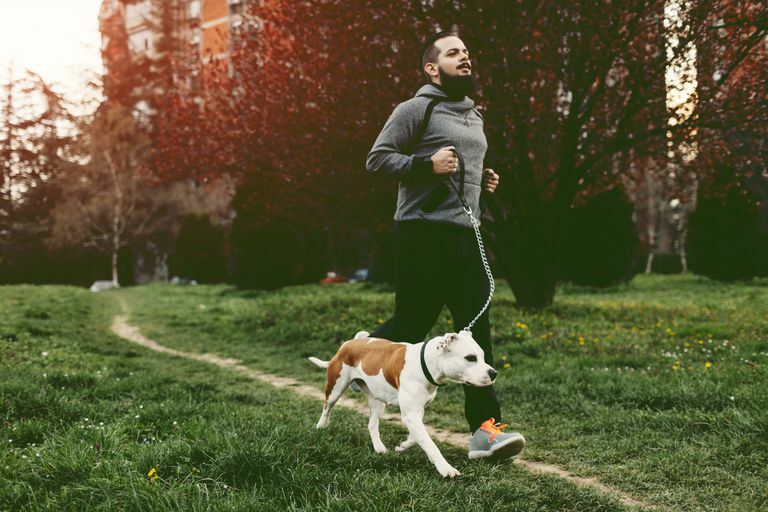 But for the rest of us, the real question is: How much exercise do we really need in order to see at least some substantial cardiovascular benefit? The answer is: More than 40 studies in scientific literature document that cardiac risk can be reduced by 30 - 50% by regular, moderate exercise - exercise averaging far less than one hour per day. If you can exercise at a moderate pace for 20 - 30 minutes at least five days a week, you may not shed a lot of pounds or reach your ideal body composition, and you may not achieve the optimal cardiac benefits which the IOM mandates for us, but you will be doing your heart and your cardiovascular system a lot of good. The bottom line: if you can engage in vigorous exercise for an hour a day without making yourself crazy, disabling yourself with orthopedic issues, losing your job, or instigating a divorce, then by all means do so. But if you are a mere mortal, then at least try to go for a walk every day. Twenty minutes of moderate daily activity won't make the pounds melt off or give you the same body composition as the Williams sisters, but it can make a real impact on your cardiovascular health. If the authors of the IOM report had allowed as much, the frustration levels they created among those of us trying to lead healthy, but non-obsessive, lifestyles might be a little bit lower. Panel on Macronutrients, Panel on the Definition of Dietary Fiber, Subcommittee on Upper Reference Levels of Nutrients, Subcommittee on Interpretation and Uses of Dietary Reference Intakes, and the Standing Committee on the Scientific Evaluation of Dietary Reference Intakes. Dietary Reference Intakes For Energy, Carbohydrate, Fiber, Fat, Fatty Acids, Cholesterol, Protein, and Amino Acids. Institute of Medicine; The National Academies Press, Washington, DC, 2005. Pate RR, Pratt M, Blair SN, et al. Physical activity and public health. A recommendation from the Centers for Disease Control and Prevention and the American College of Sports Medicine. JAMA 1995 Feb 1;273(5):402-7. Sesso HD, Paffenbarger RS Jr, Lee IM. Physical activity and coronary heart disease in men: The Harvard Alumni Health Study. Circulation 2000; 102:975. Manson JE, Greenland P, LaCroix AZ, et al. Walking compared with vigorous exercise for the prevention of cardiovascular events in women. N Engl J Med 2002; 347:716.